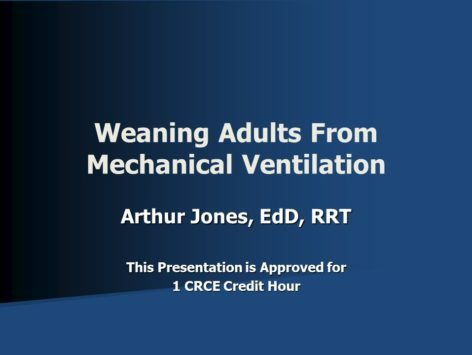 1) Analyze data pertaining to readiness for weaning from mechanical ventilation. 2) Evaluate weaning strategies with respect to effectiveness & safety. 3) Explain common causes for weaning & extubation failure. 4) Describe strategies to prevent weaning & extubation failure.